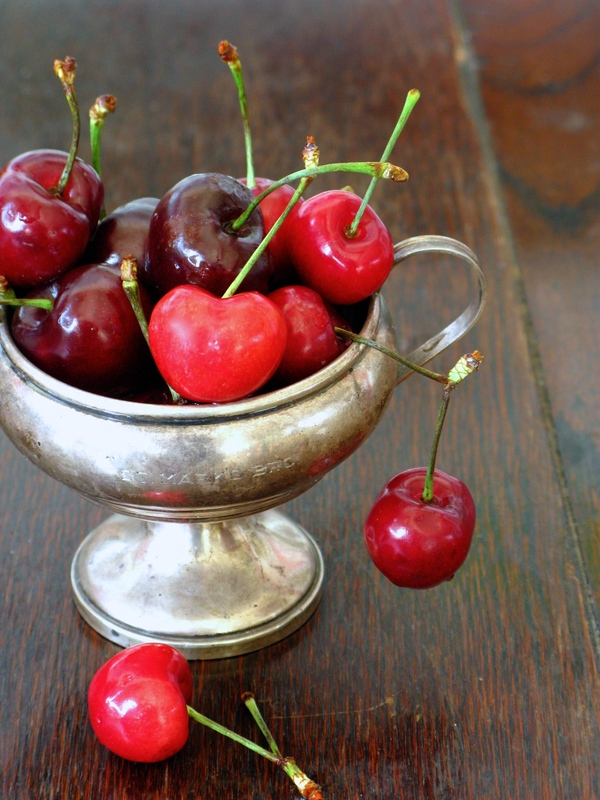 Q: What’s sweet, frozen and yummy… and set on fire? 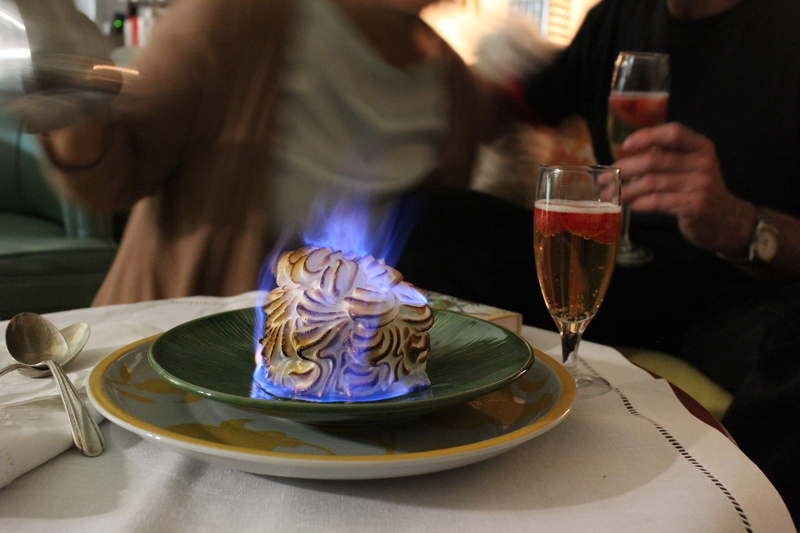 Originally, the chef of New York’s Delmonico’s Restaurant created this show-stopping flaming dessert in 1867 to honor the United States acquisition of Alaska. Though the chef didn’t invent the flambéed ice cream cake, Delmonico’s is credited for coining the name “Baked Alaska” to the delight of generations of ice cream cake enthusiasts. 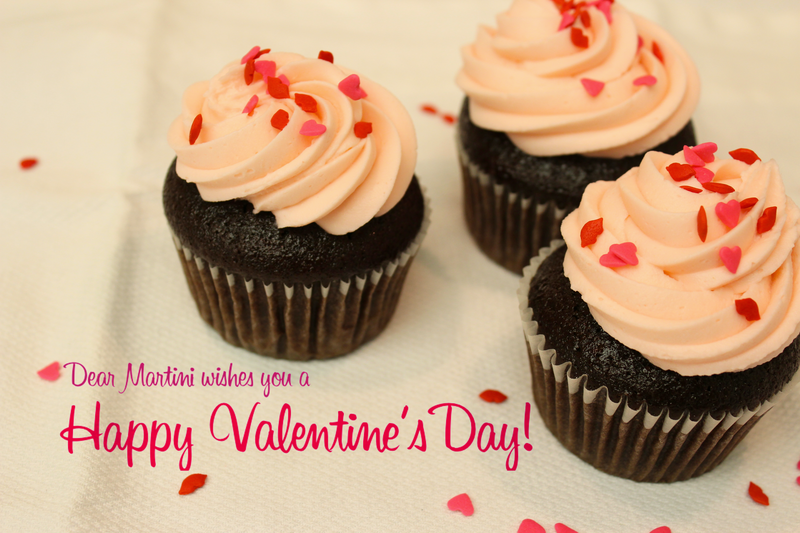 If you’re in the habit of making a special dessert for your sweetheart on Valentine’s Day, chances are sooner or later you’re going to run out of ideas that have to do with chocolate. We’ve found Baked Alaska usually wins over even the diehard chocoholics. 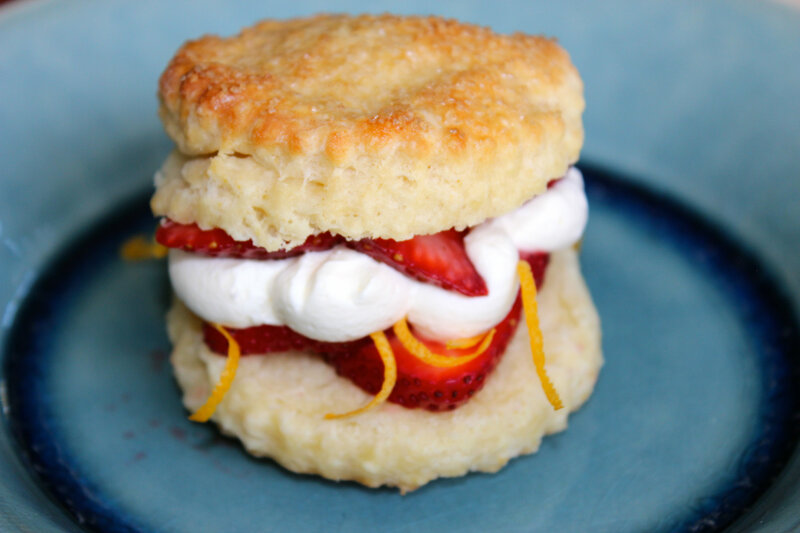 All you need to do is assemble your favorite ice cream (we love strawberry!) on top of your favorite cake and slather or pipe the entire thing with fluffy meringue. Then, when it’s time to serve, ignite an ounce of your favorite eau de vie (any flavor that pairs with your ice cream, as long as it is at least 40% alcohol by volume or higher) and carefully drizzle the flaming liqueur over the dessert. If your sweetheart hasn’t fallen for you by now, this flaming dessert will definitely seal the deal. Punch out rounds of cake and arrange on a sheet pan. Freeze for about 30 minutes. Scoop out the ice cream and place one mounded scoop on top of each cake round. Return to the freezer and freeze for 30 minutes, or overnight. Prepare the meringue by first cooking the sugar and water together until the sugar reaches 240ºF. Whip the egg whites until soft peaks and slowly pour the syrup in and whip until stiff peaks. Pipe the meringue in decorative swirls around each ice cream cake. The fluffier the better. Return the cakes to the freezer and freeze for 1 hour or overnight. Just before serving, lightly torch the surface of the cakes with a kitchen torch. 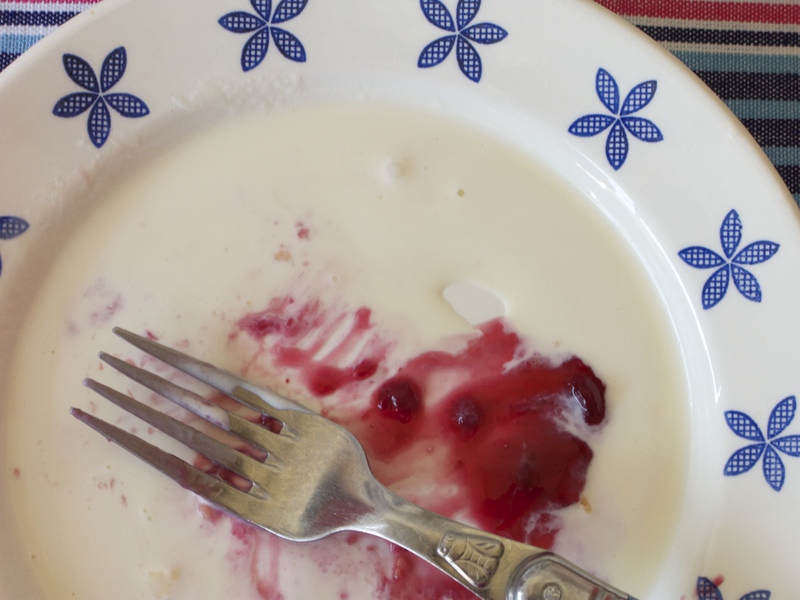 Transfer a cake to an oven-proof plate. Pour the kirsch into a small long-handled saucepan and heat over the stove for a few moments, just until the Kirsch is hot. Carefully ignite the Kirsch in the pot with a match. While the Kirsch is flaming, drizzle over the cake and allow the liqueur to flame out on its own before enjoying! Rich and delicious a perfect pecan pie is a study in contrasts… nutty crunchy pecans on top with a layer of silky-not too-sweet filling underneath. Chef Mia is our pecan pie purist (she’s been making pecan pie since she was knee high!) and insists that this contrast between gooey filling and the pretty concentric circles of whole nuts on top is what pecan pie is all about. Her secret to the perfect filling is resisting the urge to whisk the filling. 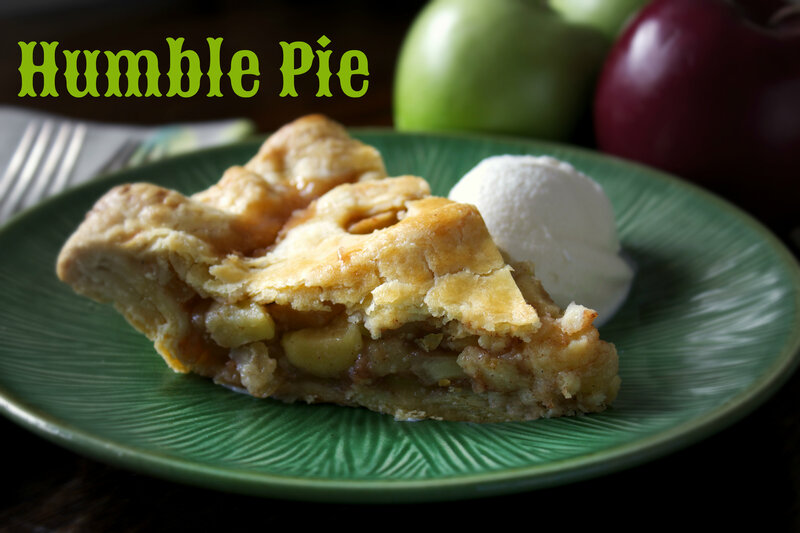 Unlike many other pie fillings, you DO NOT want to incorporate air in the filling. To make it look as good as it tastes, we take the time to place the nuts in concentric circles in the bottom of the shell before pouring in the filling. Many cooks just toss them in with the filling. Using our preferred method as you pour the filling over the nuts they are coated with the filling and magically float to the top (creating the two distinct layers!) Top off the pie with a dollop of Bourbon Chantilly Cream and it’s heaven. And, before we fall into that sugar coma after the Thanksgiving meal we usually head outside for an after dinner walk (or as Mia’s dad likes to say “the pre-amble to a second piece-o-pie”!) 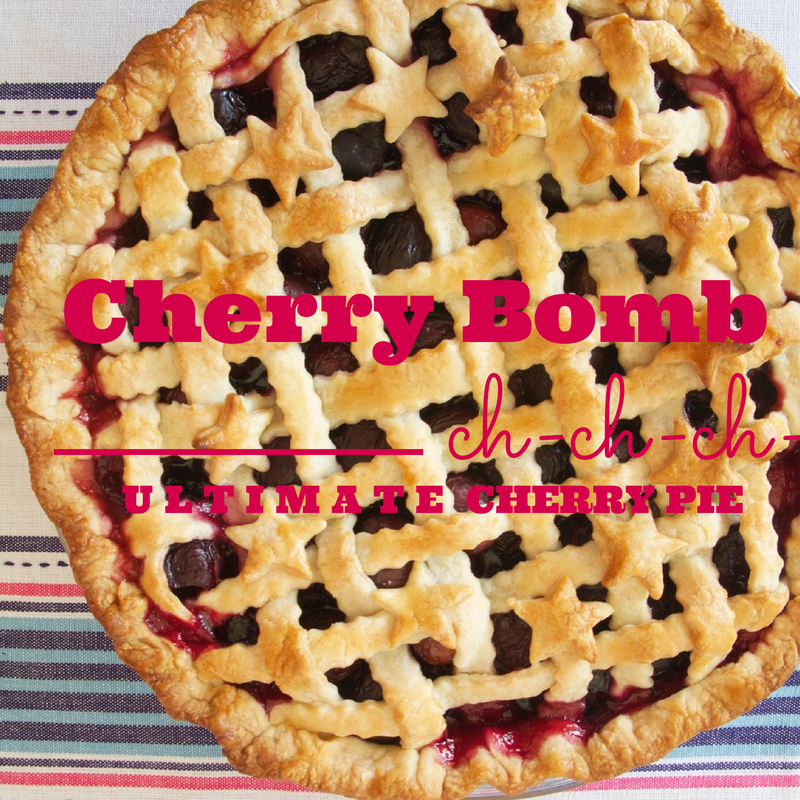 Be sure to check out our post Perfect Pie Crust to learn the secrets to making the best pie crust (ever!) and video tips on how to roll and crimp the dough. Check out the video to see for yourself the pecan magic. Yep, you read that right… the recipe calls for a pinch of finely ground black pepper! Just as with savory dishes a little salt and pepper brings out and enhances the flavors in a sweet dish too. In a large bowl, combine eggs and corn syrup; stir to combine. Add sugar, salt, pepper, and vanilla, and melted butter. 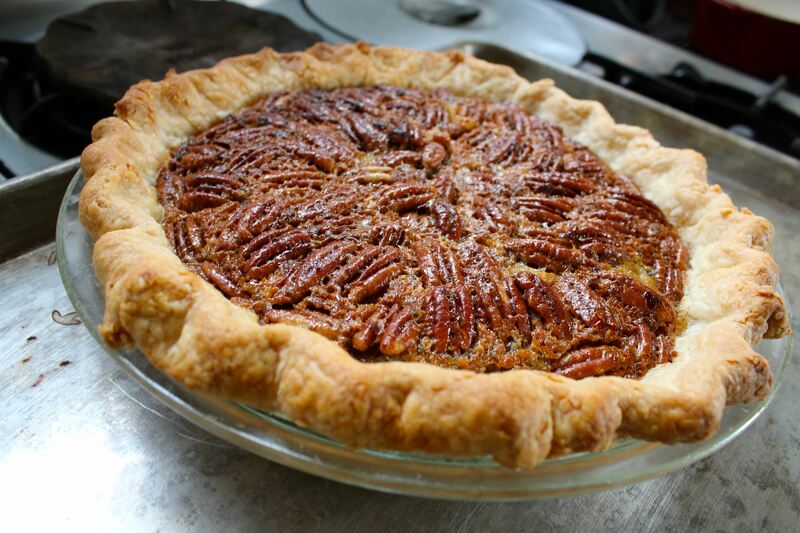 Allow filling mixture to rest while you place the pecans in the pie shell. Remove your pie shell from the refrigerator. 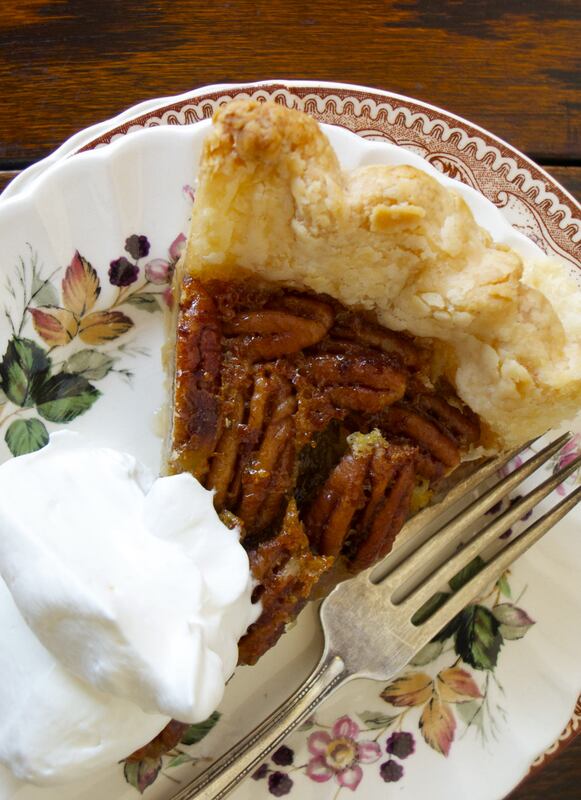 Place pecans in concentric circles on the bottom of the pie shell. Pour filling gently over the pecans following the concentric circles as a path. Once all of the pecans are floating, continue to pour the remaining filling around the edge trying not to disturb the circles. If you have left over pecans, you can fill in gaps and or slide them gently underneath the top pecans. Bake pie in the center of the oven 40-50 minutes or until center is firm. Remove pie from oven and cool on a baking rack for at least 1 hour before serving. 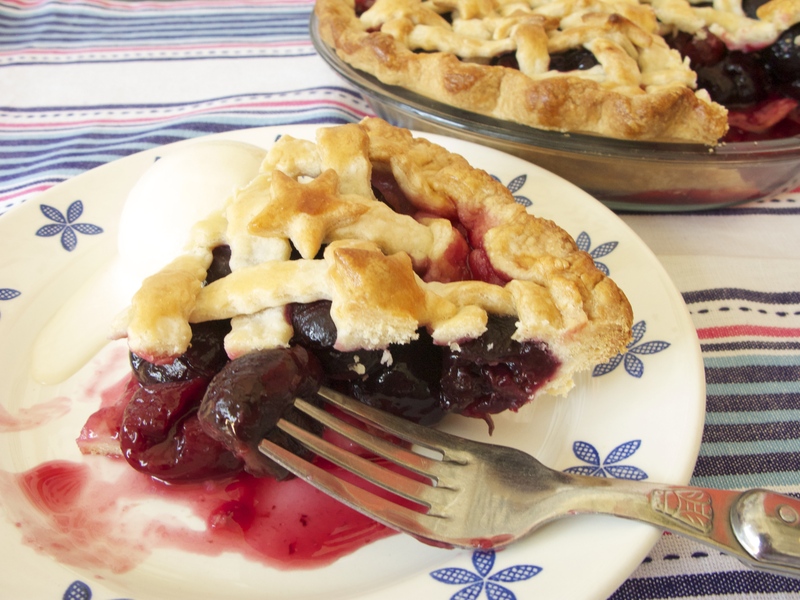 Do not even think about cutting this pie before it cools — the pie needs the cooling time for the filling to set — if you cut it hot the filling will ooze all over the plate. Cut pie into wedges and serve with a generous dollop of Chantilly Cream. Cook’s note: Pecans have a tendency to go rancid quickly (as do all high fat nuts.) Store nuts in the freezer for best results. Chantilly Cream is the cooking term for any lightly sweetened whipped cream that includes a liqueur. 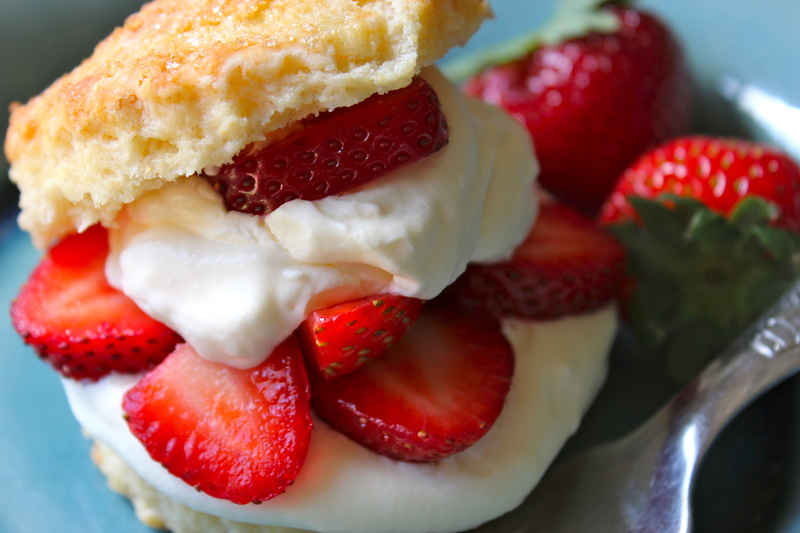 Place your bowl and whisk in the fridge 20 minutes before you are ready to whip the cream. Whip the cream with bourbon and powdered sugar. Keep covered in the refrigerator until ready to use. Cook’s note: Substitute 3 teaspoons of vanilla if you’d rather skip the bourbon. We admit it, we’ve gone a little overboard in recent years in search of the perfect pie crust. We’ve experimented with the food processor, resorted to adding vodka instead of water to our dough, all in the quest for perfection. We’ve come full circle back to a humble basic pie dough. 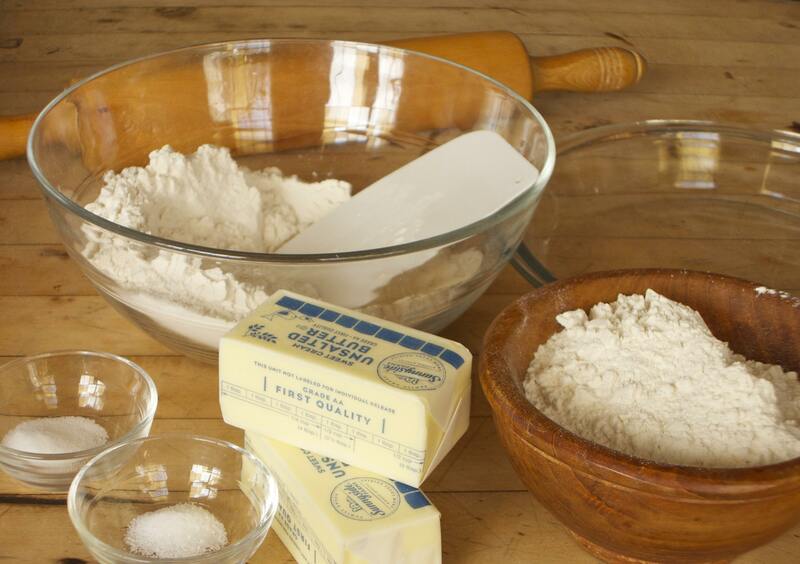 Always use cold ingredients — ice cold butter and ice water are your friends in pie dough making. Don’t skimp on the refrigerator time required in the recipe before rolling out. While the dough rests in the fridge the water is absorbed in the dough and the butter firms up. A properly rested and chilled dough relaxes, making it easier to roll out. To make pie making easier, we usually make the dough the day before we plan to make pies to spread out the work. Dough tightly wrapped in plastic wrap will last in the fridge up to 2 days (after that it becomes an unappealing gry color) or throw it in the freezer for up to 3 months. Want to get a jump on the Thanksgiving feast madness? Make pie dough this weekend and store in the freezer until ready to use. Allow dough to thaw in the fridge before rolling. Less is more when it comes to the amount of flour used to roll out the dough. You need just enough so the dough doesn’t stick to your board or your rolling pin. 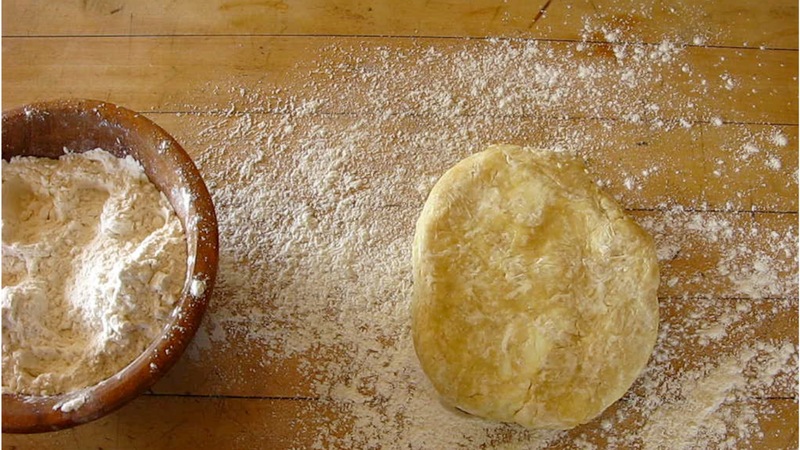 Brush off excess flour with a pastry brush (or your hands) before placing your dough in your pie pan. If dough becomes too soft and floppy to work with while you are rolling out (first time pie makers sometimes have this problem) put the dough on a baking sheet and return it to the fridge until it becomes firm enough to work with. The butter in the dough needs to remain firm (not melted and completely incorporated into the dough) for flakiness. Keep the dough moving! After every couple rolls give the dough a quarter turn. Every quarter turn is an opportunity to make sure the dough is not sticking to your work surface. Dough stuck to the rolling pin? Rub off the stuck dough with a little flour until it is clean and then add a light sprinkle of flour to the top of your dough. Your dough is stuck to your work surface? 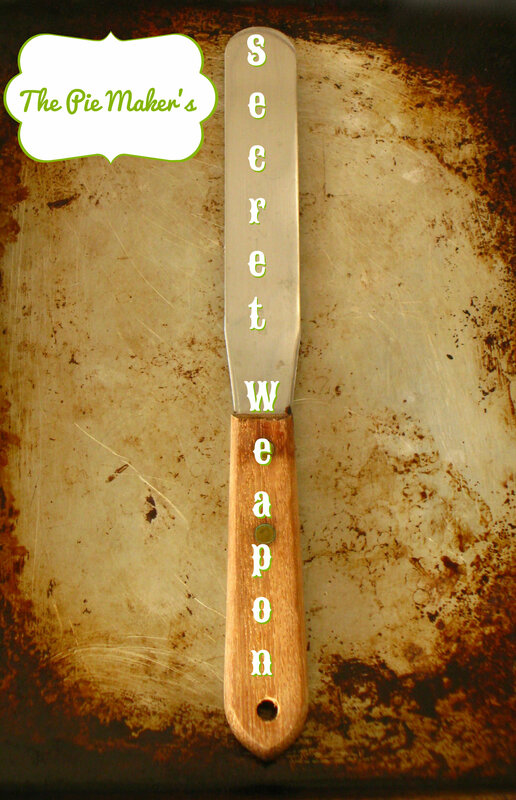 A long metal spatula is a pie rookie’s best friend. Using short strokes run the spatula between the dough and the work surface until it releases. Dust the work surface with flour and continue rolling. 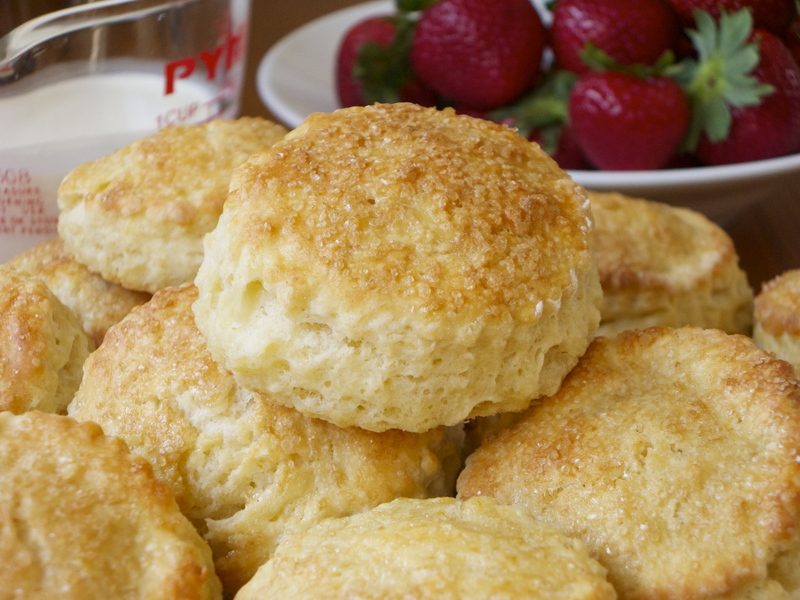 Hey, don’t throw away those leftover bits of dough. Here’s a fun delicious Pastry Cookie you can make from the scraps! Happy pie making! Don’t forget if you like our videos please LIKE them on YouTube and/or SHARE them with your friends!